The top Ukrainian prospect will be eligible to be picked in the upcoming Draft. 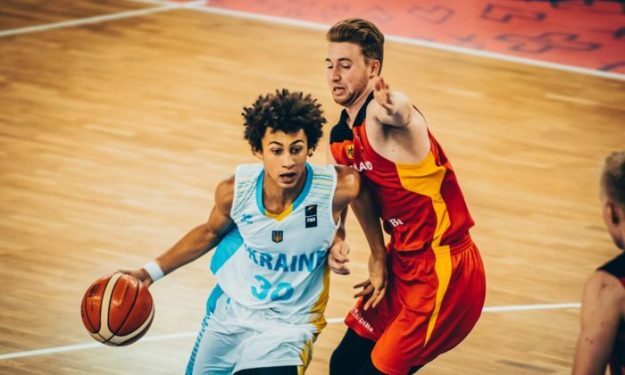 Ukrainian point guard Issuf Sanon will keep his name in the 2018 NBA Draft, his agent announced on Twitter two days before the withdrawal deadline (June 11). At 18 years of age, Sanon becomes the youngest player that will participate in the 2018 Draft procedure. He’s expected to be picked early in the second round, according to various Draft experts. Sanon, who completed the season in Slovenia by winning the domestic title with Union Olimpija made headlines last summer in the U18 European Championship with the Ukrainian national team, averaging 19.3 points, 6.1 rebounds, plus 2.7 assists per game. On April, Sanon discussed his NBA dream with Eurohoops. “Now is the chance for me,” he said. Click here for more NBA news.